Hi I’m Dr. Melissa West and welcome to Living Your Yoga. Today I am here with one of your favourite guests, Tim Anderson of Original Strength. 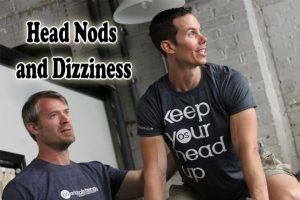 A few weeks ago, Tim did a fabulous video for us all about head nods. We talked all about how head nods stimulate your vestibular system and help with balance. 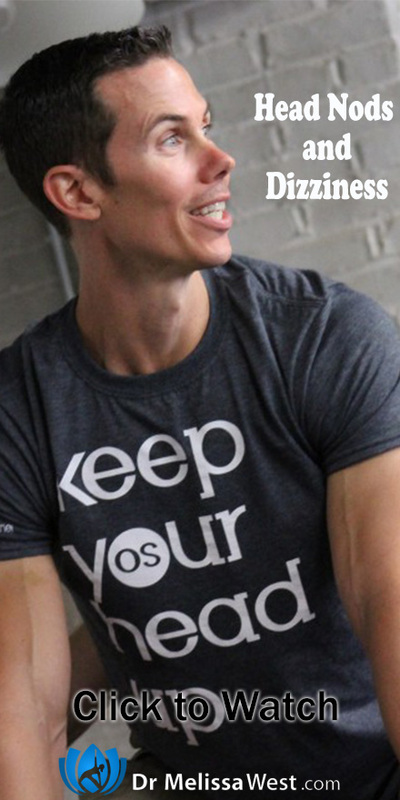 If you stay all the way to the end I will tell you more about how you can improve your standing balancing yoga postures. Anyway, some of you experienced some dizziness and vertigo in response to the head nods and so Tim is here to clear that up today. 🙂 Remember Tim and I are not medical doctors, if you are experiencing dizziness and vertigo it is important to speak to your medical doctor. Thank you so much Tim for answering that question for my students and viewers. So great to move away from the edge whether it be dizziness or pain. I love the eye nods as a modification. It is part of our membership community.